With the development of electronic technology, computer technology, numerical control and robot technology, automatic welding robot has been used in production since the 1960s, the technical is more and more mature.Welding robot is engaged in the welding (including cutting and painting), it includes robot and the welding equipment, it is not only can improve the production efficiency,but aslo complete the high strength instead of humans, danger, repeat boring work, reduce labor intensity. In recent years, S.L Machinery requires automation production has increased rapidly, and the improvement of working efficiency is urgent.Simple machinery, half, craftsmanship can't satisfy the demand of automation production and product quality, therefore, SL Machinery must use the advanced automatic production equipment to improve production efficiency, reduce the cost of production management, reduce labor intensity.The advent of the era of industrial robots has made possible of intelligent production. (1) Stabilize and improve welding quality to ensure its uniformity. Welding parameters such as welding current, voltage, welding speed and length of welding dry extension are decisive to the welding results. 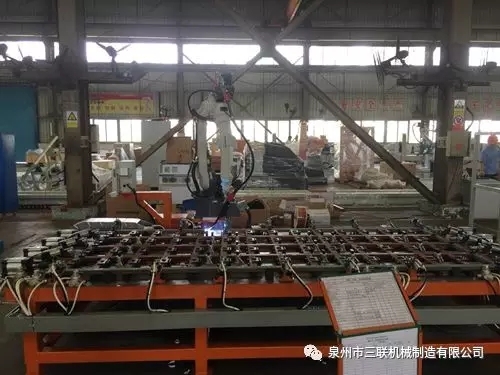 Robot welding is adopted for each seam welding parameters are constant, the weld quality is not affected by human factors, reduced the demand for workers operating technology, so the welding quality is stable.In manual welding, the welding speed and dry elongation are all changed, so it is difficult to achieve the uniformity of quality. (2) It can reduce the labor intensity, and can work in harmful environment. 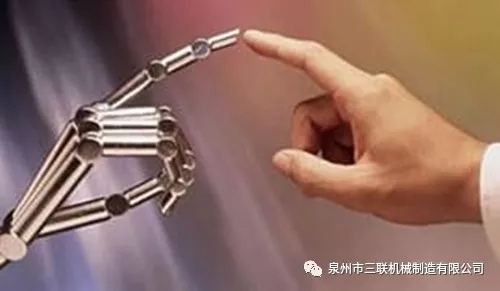 Robot welding workers are only used for unloading workpieces, away from the welding arc, smoke, and splash, workers are no longer carrying heavy manual electrode holder for spot welding, the workers extricated themselves from heavy manual Labour. The robot can be continuously produced 24 hours a day without fatigue. 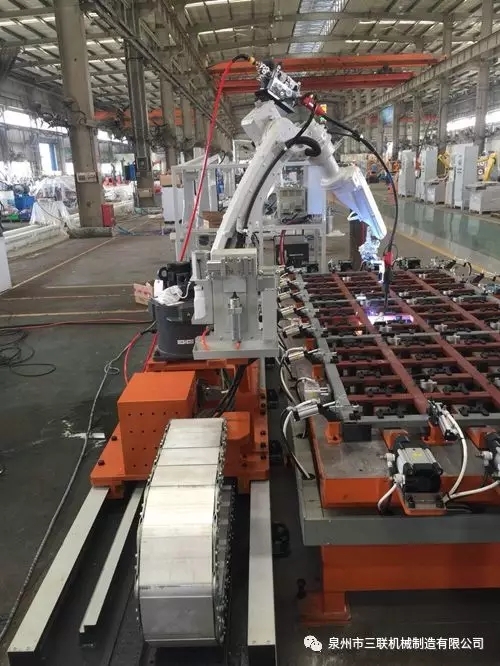 In addition, with the application of high speed and high efficiency welding technology, the efficiency of robot welding becomes more obvious. (4) Clear product cycle, easy to control production. The robot’s production rhythm is fixed, so the production plan is very clear. (5) It shortens the preparation period of product upgrading and reduces the corresponding equipment investment. The welding automation of small batch products can be realized.The biggest difference between the robot and the special machine is that it can modify the program to adapt to the production of different workpieces and adjust the automatic welding according to the special welding mode. SL Machinery intelligent production development is a "manufacturing" to "smart" process of metamorphosis, the introduction of the manipulator will combining with the characteristics of the products procedures and related parameters, make manipulator beomes the intelligent robot for their products and services.Intelligent production, is to promote the traditional manufacturing industry transformation and upgrading of an important measure, is also the new revolution of science and technology, realizing the "made in China" to "Chinese wisdom" .